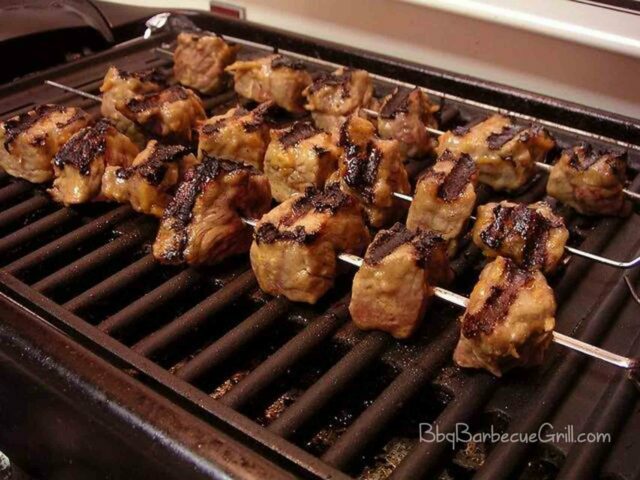 Home » Other » Barbecuing Tips » Apartment Grill Rules: Know Them, Grill Anyway! If you’re apartment hunting, and you’re an avid grill master, apartment grill rules are an important part of shopping for your new space. Some apartment bbq laws may differ depending on the landlord, and some landlords are quite flexible with their grilling policy. Ask your rental office more about their policies and how they are enforced, and learn more about why these rules are so important to know. Apartment grill rules often dictate whether or not you’re able to cook outdoors regularly. Different regions, states, counties and cities will have different rules, and sometimes it’s as simple as what your landlord dictates. At other times, local officials will have stringent fire code laws that will limit what you can and cannot get away with, especially if you’re grilling on a balcony or patio. Apartment grill policy often takes into consideration local laws, so it’s important that you learn these policies before you sign any leases. Many states have laws that outlaw grills in apartment buildings based on fire code or simply civil law. A good example of grilling laws is Virginia. Virginia is one of the most strict states in the US when it comes to fire code laws regarding grilling and barbeque. Virginia enacted a law in 2003 that prohibited grills on patios, decks or porches in multifamily dwellings. It’s also illegal to use open-flame grill on wooden balconies or on patios within 10 feet of a combustible building, meaning just about any structure not made of brick. Single-family owners are not exempt from this requirement. Officials want to mitigate the danger for everyone. In many states, including Virginia, propane use is banned from multi-dwelling buildings as well, due to the fact that leakage is destined to cause an explosion. Fire officials want to take no chances. Other states have more relaxed laws when it comes to outdoor grills for apartments. One food writer in Chicago says although it’s illegal to grill on a wooden balcony, it’s rarely enforced. Apartment grill policy is practically universal due to a basic model of them being written into international fire laws. Observing local law is the best way to become a master of the grill. Some of these laws are common sense, especially the ones preventing grilling on wood. It’s very easy to start a grease fire by using your barbeque grill on an all-wood deck. If there are laws against grilling on your patio, they’re there to keep you and your neighbors safe. Please observe them. Can I Have a Grill on My Balcony? Know your apartment grill rules. 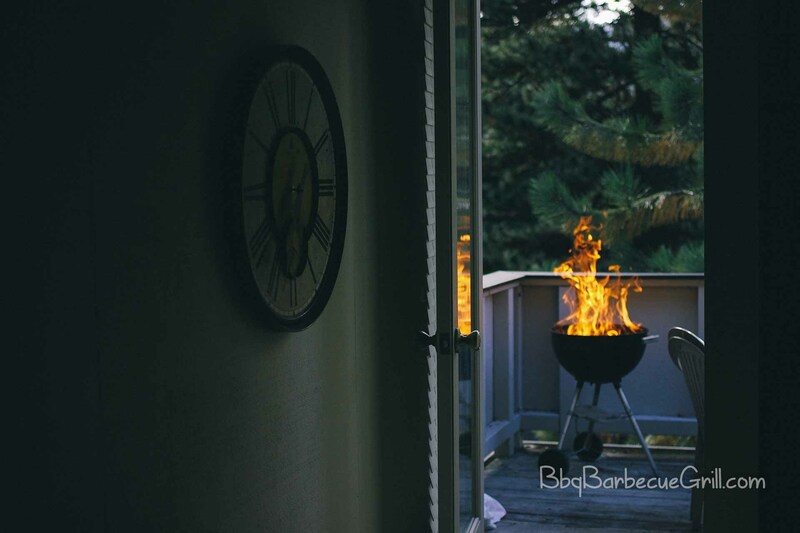 If you’re not sure you can grill on your patio or balcony, contact your management office if you’re a renter, or the condo bylaws if you own. Once you’ve done that, you may want contact the local fire department as well to make sure you’re compliant. Apartment dwellers in stricter states may find that they’re only allowed to cook on a gas grill or electric grill due to apartment grill policy or the apartment bbq laws. In this case, it’s important to choose a grill that is compliant with the law. What is considered an Open Flame Grill? It’s important to obey the law and find out exactly what is considered an open flame. Unfortunately, an open flame is exactly what it sounds like. If you have a flame bouncing around or even under a lid, this is considered “open” by most apartment complexes. What is an open flame grill? It’s the one you light with a lighter or a match. You can’t really have a charcoal grill on an apartment balcony. Because of these strict laws, it’s important to think of alternatives. Can I Have a Charcoal Grill on My Balcony? Many people will come to this article wondering, “Is a charcoal grill considered an open flame?” The answer is NO, for all of you apartment and condo dwellers. Don’t put it on a wood deck, either. A fire is very likely if you use charcoal because it emits sparks and reacts to the wind. If there are trees in your vicinity, this could quickly spread and cause an awful fire. Entire buildings have burnt down due to a few simple sparks in the wind. Can you have a bbq on an apartment balcony? Yes, you can, if you choose an electric grill, which is clearly the best grill for apartment balcony to stay out of trouble. Electric grills built for apartments often can smoke food in a similar fashion to charcoal grills. The difference is that everything is under control, and not subjected to the elements such as wind. Shop for outdoor grills for apartments carefully. In some cases, you can use your electric grills indoor. Grills built for the outdoors are often superior than indoor electric grills for apartments, which are typically much smaller and really don’t add any flavor that’s close to the taste of grilling. When you’re using an electric grill or a gas grill to do your cooking, it’s very close to the real thing as far as tasting like an authentic barbeque grill. Shop carefully, and make sure to read a lot of reviews. If you want to be a grill master when it comes to outdoors cooking, there’s a lot to consider when choosing a grill for your condo or apartment. 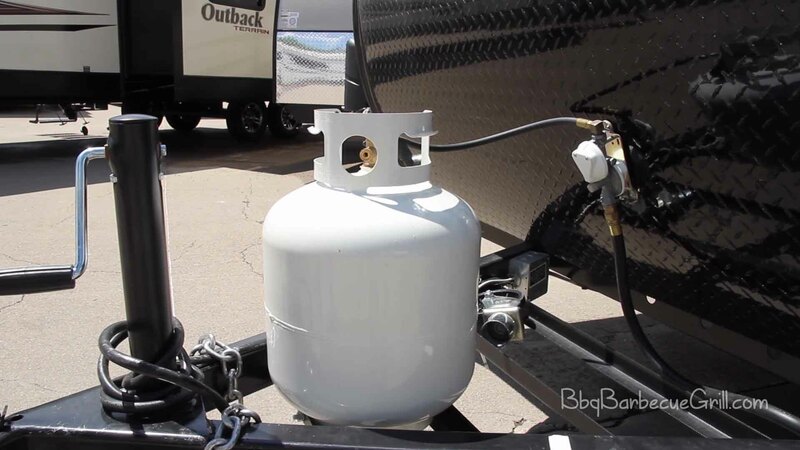 I think your picture of “propane” canisters is actually a picture of professional refrigerant containers, used by mechanics an HVAC people to recharge AC units. Really there was little mixing, it has been corrected. The canister you referenced in the photo is indeed a fuel gas tank. It is not a refrigerant supply tank. All refrigerants are dispensed from color-coded storage canisters. White canisters were color-coded for R12, which is no longer manufactured. The tank itself has no connectors to dispense refrigerant into an HVAC system (1/4″ male threaded connectors are extant on refrigerant containers), and is too large for HVAC use. I have little experience with fuel gas grilling (I smoke meats with wood only), but I presume that tank holds approximately 50 lbs. of fuel. Refrigerant tanks contain 25 pounds of refrigerant at this time, which is an industry standard (the only exception is R22, which holds 30 lbs. of refrigerant and will no longer be allowed or manufactured in the U.S after 2020). ← How to make rice?